With regular maintenance and inspections, your heating system should last up to twenty years. 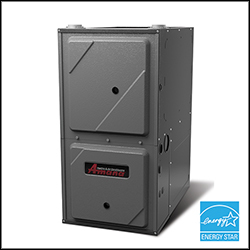 However, many people do not give their furnace the maintenance it needs, which drastically shortens its lifespan. Even small problems within the system can lead to major consequences and pose health and safety hazards. At Pro-Tech Heating & Cooling, we aim to get the best comfort, efficiency and lifespan out of your heating system. With annual maintenance from our HVAC professionals, we inspect your system thoroughly to identify any potential problems before they cause damage and cost you more money. Throughout the year, dust and dirt can build up in your ducts. This causes your furnace to work harder and wear down more quickly. Without annual maintenance, this and many other problems may occur without even being noticed. To eliminate health and safety hazards and extend your heating system’s lifespan, use Pro-Tech for annual maintenance, repairs, or installations. For more information about furnace services from Pro-Tech Heating & Cooling, please contact us here or call us directly at 616.453.5000.